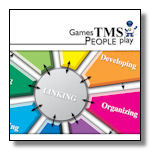 Welcome to our Worldwide Directory of Accredited Team Management Systems (TMS) Network Members. These members have elected to advertise their services and areas of specialization on the worldwide Team Management Systems website. Please note that this is not an exhaustive list of members. How can you feature your business in the Directory? If you have attained accreditation in the Team Management Systems instruments and would like to find out how you can feature your business in this directory, please use our Advertising Request Form. Please note that advertisements in the Directory are a free service .